In the second part of our series on ENT and headaches, we explore nose pain and headaches. Headaches are not just uncomfortable. They’re expensive. 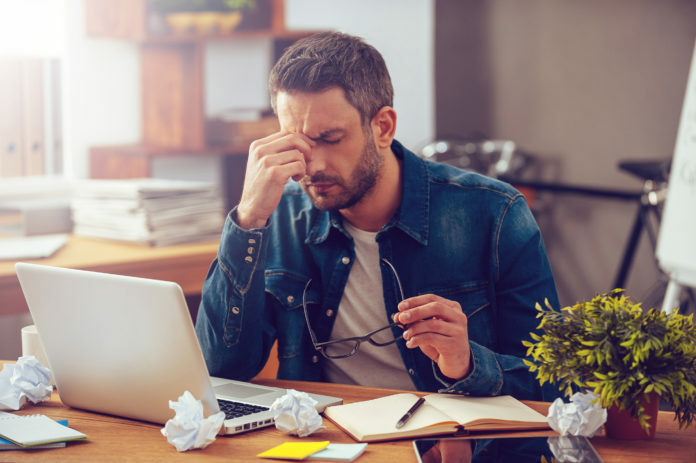 In this second installment of our series on headache disorders, we’ll examine nose pain and headaches and the steps you can take for pain relief. Let’s begin with some of the most common causes of nasal discomfort. Researchers have estimated that headaches annually cost $31 billion per year in lost productivity, increased sick days, and related healthcare costs. And that number only continues to rise. Part of the problem is that most people don’t quite understand that headaches have numerous causes. Sinus congestion, infections and related problems are one of the leading causes of headaches. The main culprit is the trigeminal nerve. The trigeminal nerve transmits signals from your sinuses along with other parts of your face to the brain. This nerve spreads throughout and causes intense head and facial pain. Doctors call this referred pain, and whether it is coming from your ears, nose, or throat—this often can be the reason why you might be experiencing headaches. When the lining of your sinuses swells, this pain and pressure will cause a sinus headache. Inflamed sinuses are often unpredictable. In some cases, they may cause visible swelling or affect only one instead of both sides of the face. Sinus infections or sinusitis affects 30 million Americans each year. They occur when mucus builds and the sinuses become inflamed, preventing proper drainage of bacteria, viruses, and allergens that may cause these uncomfortable symptoms. Generally, sinusitis will go away without medical attention. or causes pain associated with additional symptoms like fatigue, fever, and toothaches. Hay fever or rhinitis can be attributed to both allergic and non-allergic causes. We’ve all experienced symptoms of it including sneezing, itchy nose and the paradoxical simultaneous stuffy and runny nose. These symptoms create ENT related headaches as well as other forms of discomfort. Allergy headaches occur when your immune system identifies something harmless like pollen or pet hair and triggers a reaction. In some cases, you may experience seasonal rhinitis, most often during spring or fall months when pollen counts are high. Non-allergic rhinitis actually affects nearly one-third of adults each year. In this case, it’s not your immune system, but something else that’s triggering a reaction. Scientists haven’t reached clear conclusions on the causes of this, but have found high correlations between many environmental factors. For example, people living in areas with high pollution levels have been found more likely to suffer from non-allergic rhinitis. Other environmental factors include traveling between high and low-level humidity (i.e. in and out of air-conditioned environments) frequently, along with changes in temperature. One of the trickiest questions about head pain is whether something is a headache or migraine. If you experience recurring, intense headaches, consult with your doctor to see if you are suffering from migraines. Many people mistakenly confuse the symptoms of sinus infection and allergies with those of migraines. Migraines occur less often than tension-type headaches, but they are more severe. They are also 2 to 3 times more common in women than in men.